A cyclist was killed Friday morning in a hit-and-run car crash near the Dead Sea. 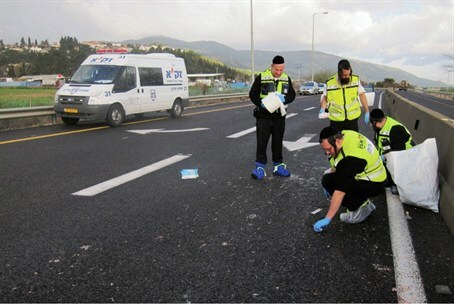 A cyclist was killed Friday morning in a hit-and-run crash on a highway leading down to the Dead Sea. Paramedics were unable to save the victim, who suffered serious head wounds. The driver fled the scene. Police set up checkpoints in the area and, after two hours, police in Arad, working with volunteers and others, found and arrested a 23-year-old suspected of hitting the biker. The identity of the victim has not yet been released. He is believed to be in his 30s. Two days earlier a man in his early 80s was killed in Jerusalem when the electric scooter he was using rolled down a steep hill. The man suffered head injuries and died a short time later.